For most of us, harmonic describes a set of musical notes that produce a pleasing sound, or it describes a state of contentment. 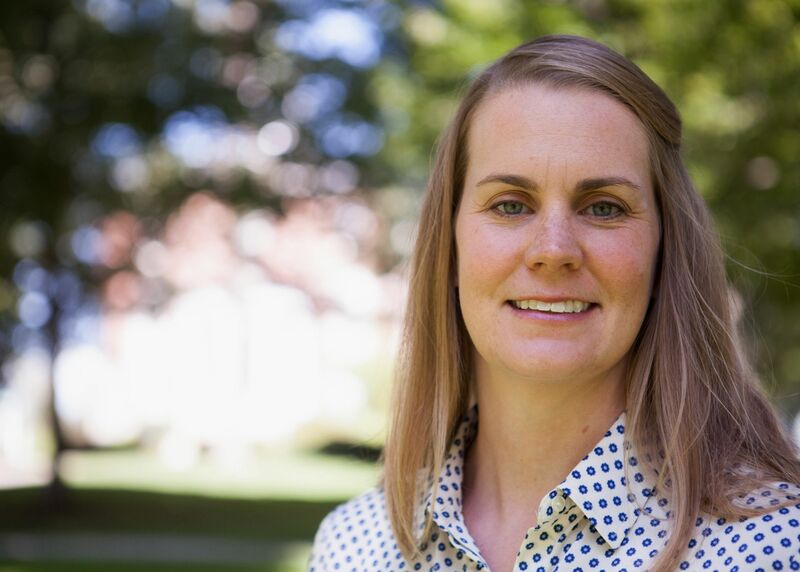 For Associate Professor of Mathematics Katharine Ott, harmonic describes a type of function, a mathematical way of representing the relationship between two values. Harmonic functions satisfy Laplace’s equation, which itself “plays a key role in describing many physical phenomena such as heat conduction, electrostatics, and fluid flow,” she says. Ott’s specialty is harmonic analysis and partial differential equations. “Harmonic analysis,” she adds, “is a branch of mathematics that has to do with breaking a function into simpler parts that have certain properties. Which brings us back to harmonics in music. If you know the rates of vibration for notes that sound related to one another — and are appealing for that reason — you’ll generally find that there are predictable mathematical relationships among them. Ott also works to increase the participation of women in mathematics, organizing programs for high school students and writing about math for the general public. She’s currently the director of GirlsGetMath, a weeklong math and computer science camp for high school girls.